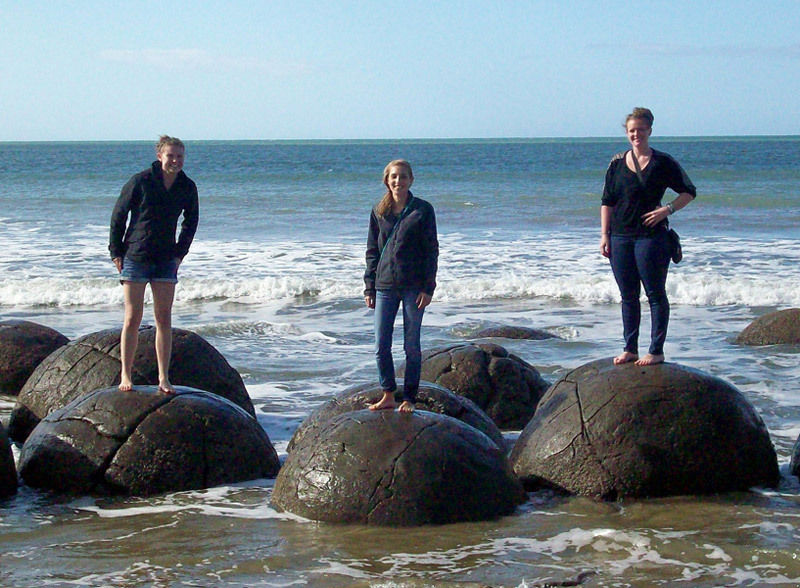 During my junior year I studied abroad for a semester at the University of Waikato in Hamilton, New Zealand. I was there from February to June, 2012. When I first began my college career, I wasn’t too interested in studying abroad, but as more and more of my friends decided to go abroad, I became interested too. I love to travel so I viewed studying abroad as a perfect opportunity to see another part of the world. I’m also a business student, and since the world of business continues to grow internationally, I knew studying abroad would stand out on my résumé and give me a competitive edge when I started looking for work after graduation. My college offered study abroad programs all over the world, so I took advantage of the resources provided by the Study Abroad Office at my college. I selected New Zealand because English is the primary language, and the timing of the program worked best for my schedule. I also had a few friends who had studied in New Zealand the previous year and they kept telling me that New Zealand was beautiful and the place to go! A very close friend of mine chose to study in New Zealand at the same time, and that played a role in my decision as well. My application process was fairly easy. I just had to select a program, provide academic information, and write a 250-word essay. The content of my essay included why I wanted to study abroad, my strengths, weaknesses, and how I thought studying abroad would benefit my future career. A tip for writing the application – especially the essay section – Is to be honest with yourself. Having a clear idea of why you want to go abroad and identifying possible challenges you may encounter will better prepare you for your experience abroad. My biggest surprise was leaving the United States single and returning home in a relationship with a kiwi (New Zealander). I was also surprised at how difficult leaving New Zealand at the end my semester was. I fell in love with the country and it really felt like home, so leaving my friends and boyfriend was definitely a lot harder and more painful than I ever could have anticipated. My friend and I also came home with NZ-inspired tattoos… which was a pretty big surprise – especially to our parents! The social activity I participated in the most was going out to the clubs in town. In New Zealand going to town is what young adults, especially students, do on Thursday and Saturday nights, so I had to embrace that part of the culture. 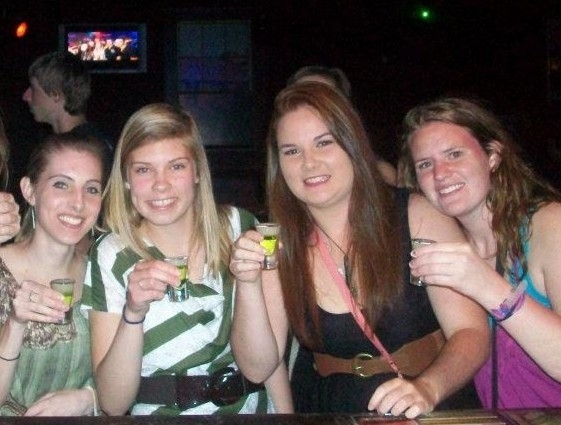 Since I was only 20 while in New Zealand, going out to bars and having a few drinks with 18, 19, and other 20-year-olds was definitely a different experience, but always a good time! My fellow American friends and I adjusted very quickly! Breaking out of my comfort zone and taking advantage of every opportunity thrown at me definitely made my study abroad experience a success. For instance, New Zealand is the adventure capital of the world so I knew I could not leave without participating in the adventure the country has to offer. 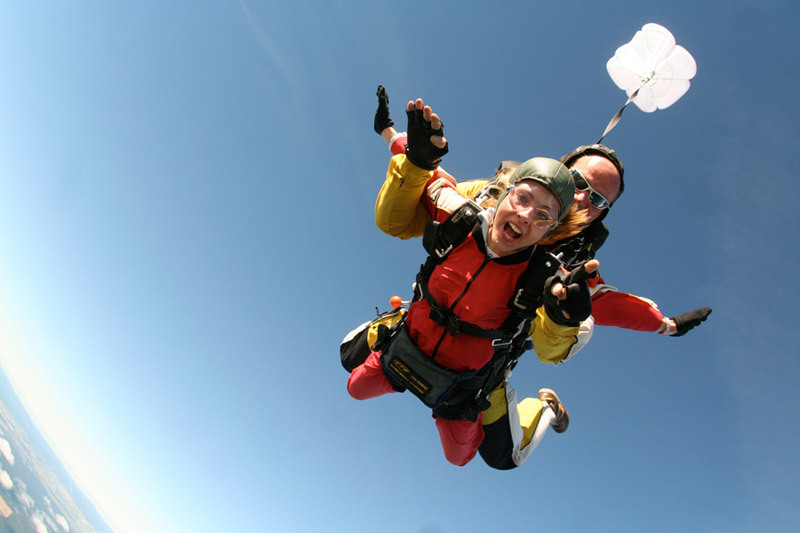 My biggest adventure was skydiving, and it was so incredible! Traveling around both the North and South Islands of New Zealand made my time abroad unforgettable as well. I met so many wonderful people, not only from New Zealand but from all over the world. Also making friends with the kiwis made my experience a success. My kiwi friends helped me experience the true New Zealand rather than the typical university activities or tourist attractions. For instance, one weekend our kiwi friends took me to drifting races, which turned out to be really exciting. Eating fish ‘n chips on the beach while watching the sunset is also a true kiwi experience. Those times were some of the most memorable of my study abroad experience. While studying abroad, I developed and strengthened various skills that will undoubtedly help me in my career. For instance, I built teamwork skills when I had to complete a project as part of a multicultural group of students. The four other group participants were from other countries; they spoke differently; they held different values/beliefs; and they practiced different customs and traditions. Because some of the group members didn’t speak perfect English, there was also a slight language barrier, which meant I was able to improve my communication skills. We really had to work together in order for our project to be a success. During my four months abroad, I also became travel savvy, which will be useful if my career requires travel. I went all around both the North and South Island of New Zealand and traveled to Australia as well. I’m now totally willing to jump on any travel opportunity I am given in my future career! New Zealand was fairly similar to the United States, but some cultural differences did exist. To deal with these differences I tried to embrace them and not sweat the small stuff. Surrounding yourself with locals is crucial in order to understand and adapt to a culture. Patience and confidence are key as well. Have patience with yourself, because adjusting to a new life abroad is challenging and takes time – but once you get settled and have a routine, your host country will feel like home and you’ll never want to leave. Self-confidence is also important because you will be thousands of miles away from home with only a few people, if any, that you know. Lastly, laugh and have fun, even when the homesickness hits. The most important thing I learned about cross-cultural communication is to not pick out all the differences, but rather to embrace them. Learning the language and lingo of a different culture is fun and makes you feel like you fit in. Even though New Zealand is an English-speaking country, some words are pronounced differently and things may be called by different names than they are in America. A parking lot is a “car park”, flip-flops are “jandals”, cotton candy is “candy floss”, and a cooler is a “chilly bin”. The list is endless! I find myself using NZ terms rather than US terms without realizing what I’m doing, but I like it! Returning home from New Zealand was very difficult. I made so many friends, memories and fell absolutely in love with the country. I miss all of it every day and would do it all over again in a heartbeat. I’ve been bitten by the travel bug, so I’ll definitely go abroad again, but this time it probably won’t be to study. I am already planning a return trip to New Zealand at the end of this year! The biggest tip I can give anyone who is about to go and study abroad is to keep an open mind. The people, the food, the education, the technology, and even the day-to-day activities like driving and crossing the street will be different – but within a few weeks all those differences will feel so normal. Also, take advantage of every opportunity, because many of them are once in a lifetime! I honestly did not miss much about home. Of course I missed my family and friends back in the States but social media, such as Facebook and Skype, allowed me to stay in contact very easily. At first I missed the little things like my favorite cereal or my car, but within a few weeks I didn’t miss them anymore. I now miss things that I had in New Zealand that I can’t get at home. Do you have any final thoughts on your time abroad? Studying abroad is not easy and is not for everyone, but I had the time of my life and highly encourage those who have the opportunity to study abroad to take advantage of that opportunity, especially if it’s in New Zealand!! I already have a ticket booked to return to New Zealand. Unfortunately, however, this trip is only a visit for two weeks rather than another study abroad adventure. I have been bitten by the travel bug so I know my time abroad is not complete. I am very fortunate to have a job lined up for when I graduate in May. I probably will not have the chance to do much international traveling through this particular job; however, if/when an opportunity arises, I will not think twice about it! Although her current job is located in her home country, there are still ways for Lacy to build international skills. She might consider arranging short-term international intern or volunteer placements during her vacation time form her current job, or she could take a language learning class or participate in cross-cultural extra-curricular activities in her local area. Whether or not you are able to travel abroad in the near future, you should always be maintaining and developing your international perspectives by building your international friend networks, keeping up with world news and connecting with other cultures through online outlets. Lacy might also consider going back to complete a master’s degree abroad after building some industry-related experience at her current job. Check out our list of Working Vacation Resources to start finding temporary, short-term working opportunities abroad. The International Volunteer Opportunities list also offers a large number of links to short-term programs abroad. Browse links provided in The World Online to stay connected to your “international self” while still at home.